In Spring of 2011 Bone/Levine Architects conducted a comprehensive exterior inspection of these two joining buildings consisting of a north and south tower separated by a continuous expansion joint. The north tower is made up of a reinforced concrete frame with masonry block and facebrick. The south tower is a steel frame with a similar block and facebrick construction on the lower floors and a glass curtain wall cladding system on the upper floors. Inspection probes revealed standing water under the existing membrane on many of the set back terraces as well as numerous open joints in the flashings, copings and curtain wall. 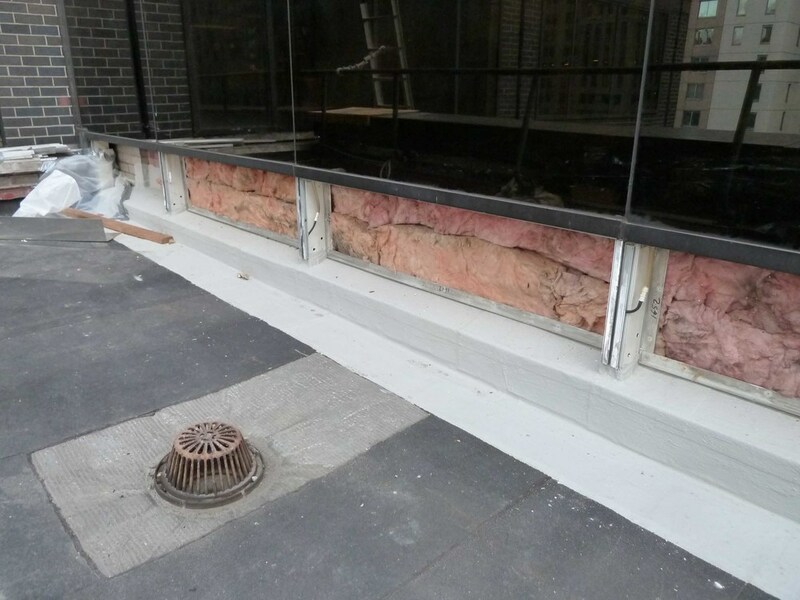 The repairs program involved installing roofing and flashings at all the set-back terraces and main roof, resealing curtain wall joints and parapet repairs. In addition to these repairs, Bone/Levine Architects assisted in an energy study consisting of various window films and techniques to address the thermal loss and gain of the south towers upper curtain wall assemblies.